In 2016 Prop 205 to legalize recreational marijuana in Arizona was defeated. Now the talk is back to legalize recreational marijuana. Veterans United for Cannabis hosted a panel with law enforcement and veterans to discuss whether the state should end cannabis prohibition. David Croteau, a founding member of the group, says he had a surgery for a hernia last year. He says instead of using opioids, he turned to marijuana-- an alternative he found more beneficial. Some members of the panel agreed marijuana would help the opioid crisis. However, Tucson Police Department Counter Narcotics Alliance Captain John Leavitt disagrees and says legalization would create more problems. "I think if you look at what we do with other legal drugs like tobacco and alcohol everyone would agree we haven't done a very good job managing those and so the question I would have is if we are changing policy to make things better why would we deliberately enter into yet another quagmire like we have with alcohol and tobacco," he said. Although recreational marijuana is legal in some states, under federal law it is illegal. Pima County Sheriff Mark Napier pointed out cannabis is different from alcohol and has many questions on legislation and regulation. "How do you determine impairment? How do you regulate it and how do you ensure that it is packaged in a way is unattractive to minors and other people who shouldn't have it? So there are a lot of legal hoops that we would have to go to and of course there are some public safety concerns with people driving impaired under marijuana," he said. However, Safer Arizona Cannabis Legalization Chairman Alex Gentry says this could create jobs for the state. "We can buildings out of it, it's medicine, you can make biofuels out of it, etc.," he said. "So we are not trying to make it so that only a certain socioeconomic class of people can benefit from it, we want to make sure that everybody has the possibility," he said. 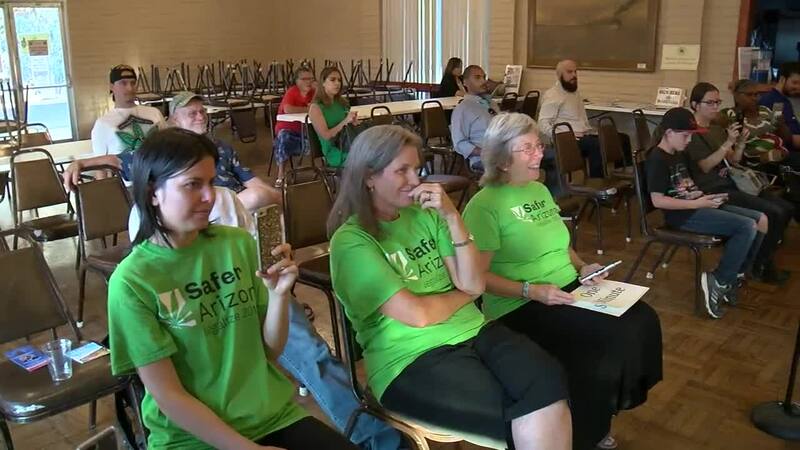 Safer Arizona Legalize 2018 has a petition online to end cannabis prohibition in the state. The group needs 150,000 signatures before July 5 to get it on the November ballot.